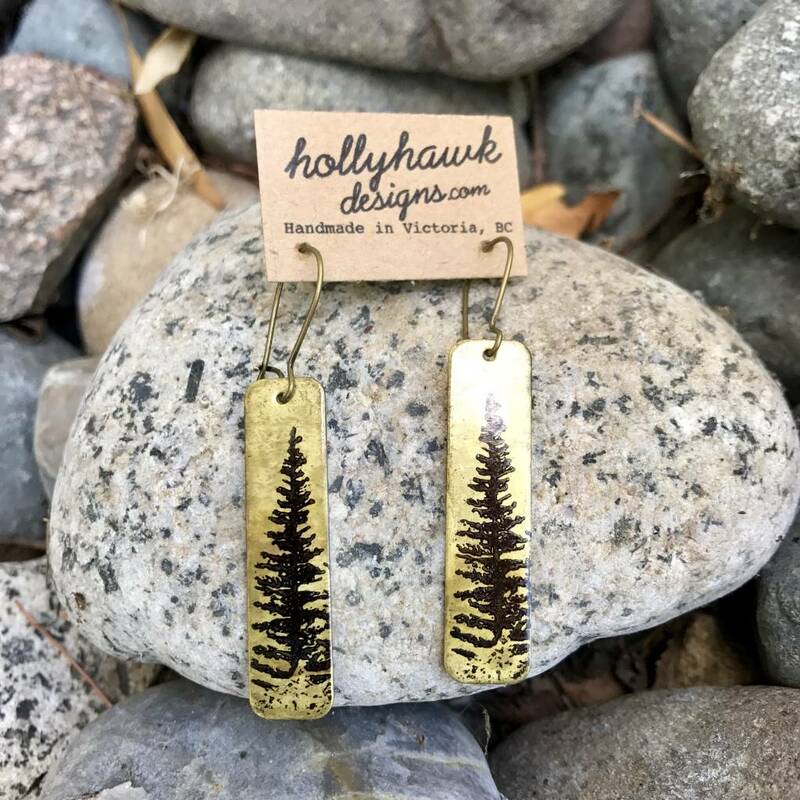 Vintage style pine earrings in brass by Hollyhawk Designs. 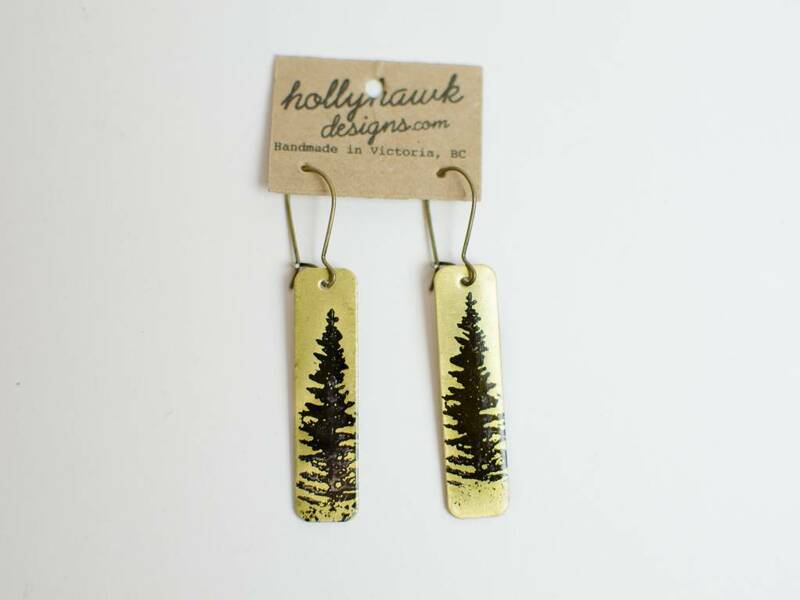 The vintage look of brass is paired with the elegant silhouette of a pine tree on these light weight earrings. Each earring is 2" in total length, including kidney wire ear hooks, and made of antique brass, with a hand printed design using indelible ink. The patina, which gives the metal an antique mottled finish, has also been hand created from raw brass. Handmade by Hollyhawk Designs in Victoria BC, Canada.